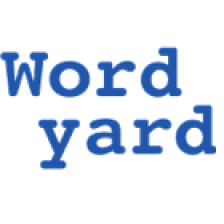 Wordyard / Media / The Wall Street Journal: Cavalier about corrections? The Wall Street Journal: Cavalier about corrections? Last week I wrote about my fruitless quest to alert the Wall Street Journal to a mistake it had made in a book review — misspelling the name of the author the piece mainly focused on. Yesterday I made one final effort to close this loop; I emailed the book review’s author, Philip Delves Broughton. Broughton responded quickly and courteously, agreed that it was a mistake (one he’d been responsible for), and noted that as a freelance contributor all he could do was notify the book review’s editor. As of today this mistake, now 11 days old, remains uncorrected. In the face of my persistent and no doubt annoying barrage of emails, phone calls, and blog posts, the Journal newsroom has remained entirely mum. Now, there are a few ways to read this situation. You could say: Who cares? It’s just a misspelling of somebody’s name. If it’s your name, of course, you may care a great deal. If you’re the author, you might care not just for vanity, but for the sake of the people who might be Googling your writing or looking your book up to purchase it on Amazon. In this case, the author, Mac McClelland, happens, right now, to be doing some on-the-ground reporting from the Gulf oil spill for Mother Jones. If you were her, you might want readers to connect the book review with the in-the-news byline. So another possible response is: The Journal’s editors and reporters are very busy people. They’ve got financial meltdowns to cover. Why are you harassing them with this trivia? That’s just fine — unless the Journal actually cares whether its readers trust its coverage. If a news outlet can’t be bothered to get an author’s name right, can you count on it to get the financial stories right? I’m sorry, but none of these responses is adequate. Until and unless we get a more plausible response, the only interpretation that makes sense is a very sad one: that the Wall Street Journal, once one of the world’s great trusted news institutions, lacks a functioning correction process. Or it simply doesn’t care about sweating the details any more. Something tells me no editor at the paper is likely to say that. Because when most of us signed on as journalists we signed on for the small stuff too. And readers expect that — and expect some kind of response from the newsroom when they point out an error. Hey, Scott. Just seeing this, and wish I’d seen the first post. We’re on it. Thanks for all your efforts. I’ll report back. Thanks, Zach. Any insight appreciated. Since I went through all the channels the paper says you’re supposed to go through, it seems to me that the process needs some attention, no? Alix Freedman is a deputy managing editor for The Wall Street Journal, charged with spurring the Journal’s efforts to maintain and extend the paper’s unparalleled reputation for accuracy and fairness. Her email is first name dot last name at wsj dot com. Excellent info, thanks. Also heard from a WSJer that the book reviews are considered part of the editorial department there, and the email address I used (wsjcontact) is only for news coverage. Not exactly intuitive, but good information to have! The important question is, why make your readers go through this? Why not make it easy for them to get in touch with you, and answer them when they do? Different people determine each level. For example, a typo is worth fixing for the next version, but not releasing a patch or telling the users. For example, “you’re” instead of “your” can be silently corrected on the web. I haven’t really read the media bugs, but I guess you all are working on a similar workflow. The key is that we know our users are sophisticated enough to trust us *more* when they see the bugs publicly posted. Do any newspapers have the same trust in their readers? I’m surprised you’ve had a problem getting a correction in WSJ. I’ve emailed at least a half-dozen corrections in recent years—some pretty minor—and the Journal has always corrected the error, then sent me a note to mention the clarification/correction. Thanks for pursuing this. It’s the kind of thing that always drove me nuts working at newspapers. Good systems are rarely in place for news tips, messages, corrections, etc. It’s ridiculous. And I agree with you — you shouldn’t have to know a staffer or freelancer to get action. General Public Jane should have no problem accomplishing what it took an “insider” to finally accomplish. It’s about the system more than this one correction. Good for you for working so hard on what should be a one-email activity. This story is surprising and disappointing. It is so frustrating to have to jump through hoops to contact people in any business; a newspaper, in my opinion, you should provide clear and easy access to its editorial team and the rest of the staff. It’s ridiculous that they haven’t fixed the error by now. Is this “really” important? Sounds like something from “Magic Christian” (Now there is an old ref.) In case you can’t find a book that old the editor of a newspaper stirs up everybody with foreign words and such in the paper and causes riots. Get over it already. You sound like a big crybaby. It was very interesting to see how others have fared with getting the Wall Street Journal to make corrections. Just recently I became involved in an attempt to get some corrections relating to the extremely emotional and painful topic of the Holocaust. The response by Karen Miller Pensiero, Assistant Managing Editor, was surprisingly cold, completely lacking in empathy and, honestly speaking, disgraceful “We certainly didn’t mean to offend, and we do apologize if the published phrase was read in an unintended way. However, we believe that our meaning was clear. I regret that we may have to agree to disagree on this matter, but we do appreciate hearing your concerns. It was also pointed out to the Wall Street Journal that both Israel and Poland, in the interest of this same historical integrity and accuracy referred to in the AJC statement, proposed a change in the entry for the remains of the Auschwitz concentration camp, and this change was approved in 2007. It is now 2010, and the WSJ is unwilling to incorporate procedures that would prevent further such hurtful misrepresentations from appearing in their publication. They also refuse to post any corrections, or to remove the misrepresentations from the article on the WSJ website. Was this error in the newspaper or on the website? If it was the website, well, that’s the beauty of the technology. You just go in and tweak. Your latest posts says that the error was corrected without any indication there was ever an error. Who do you know ever admits to mistakes? They corrected the error. Now move on. If you are referring to me, the error has still not been corrected and it was in both the newspaper and the website. Meanwhile, you are absolutely right “that’s the beauty of the technology.” You just go in and tweak.” Considering the topic – not so easy to move on. Your rhetorical question “Who do you know ever admits to mistakes?” is a sad commentary on society. While I’m far from perfect,, I have to say that I myself readily admit to my mistakes – and I consider this a very important factor in the survival of my 26 year very happy (and current) marriage with my first (and only) wife Meanwhile, the dismal divorce rate ….. probably confirms your assessment. Your rhetorical question is an even worse commentary on our media. Anyway, no, there was no correction, just an e-mail response. Stefan — I think that comment was meant in reference to my post, not your comment — which actually wasn’t posted on this blog until just now (the links it contained got flagged by my software as possible spam, so I had to approve it manually). As for Cheryl’s comment: Um, I know lots of people who admit mistakes, and journalists in particular need to learn how to admit mistakes if they don’t do so already. This is one of the main cases we’re trying to make with the MediaBugs project. As for “You just go in and tweak,” well, yes and no. Technology lets us change texts at will. But good journalism demands some transparency about changes that we make to material that is already published. Otherwise things get Orwellian awfully quickly. As for “They corrected the error, now move on”: They didn’t correct the error until after I wrote this post and it got some attention. Now that it has been corrected, I am indeed moving on! Though I reserve the right to try to draw some lessons from this episode, since it fits a larger pattern our work at MediaBugs is encountering. OOOPS! Most of my responses to Cheryl still make some sort of sense. Thanks for the manual approval, Scott. Is it safe to say that the Wall Street Journal has poor ethics and standards, besides a cavalier attitude towards corrections? Forget about the utter disregard for the feelings of Human Beings who lived through a far greater hell than that of the Wall Street Journal editors having to admit their mistakes and making some corrections and apologies. Baaad, Baad ole WSJ. They are soooo Baaad. It’s a newspaper people. Tomorrows garbage can liner already. They breached some self appointed Canadian standards nobody has ever heard of? God’ll ge’em for that he will! God Canadian A? I would like to state the obvious: my laughter in my previous response was just a sarcastic response to Dr. Evil (“M”). I was not really laughing. I do not find him funny, nor do I think he exhibited a good sense of humor. Not everything goes and not everything is a joke. Having met survivors of the Holocaust, heard their stories, saw pictures and videos, I CERTAINLY DO NOT find the topic of the Holocaust, and my posts are about proper reporting of the Holocaust, humorous. I believe my posts were relevant to the topic of this blog and were written in good faith with the assumption that I am dealing with reasonable, mature, decent, and un-warped individuals. I believe in principles and standards, and that they should exist even in newspapers, and especially in those which are perceived to have high standards, and, of course in those which present themselves as having high standards. I wrote my posts to express my frustration, and to convince others, through persuasion and thoughtful argument, of my issue with WSJ, with the hope that it might come to the attention of the decision makers at the WSJ, who I believe sincerely want to maintain proper standards at their newspaper. Syymptoms will continue until your digestive system gets used to your new eatring habits. and veggies have been stored at several locations and handled by many different people. It will also leave as much of the natural nutrients intact as possible, giving you the most healthy juice to drink.